The Samaritan Update, is a Monthly Internet Newsletter, a Division of The-Samaritans.com. Subscription is free via E-mail only. Subscribe To the Newsletter -The Samaritan Update. SES: In University of Papa/ Hungary in 2008. Samaritan Museum on Mount Gerizim. 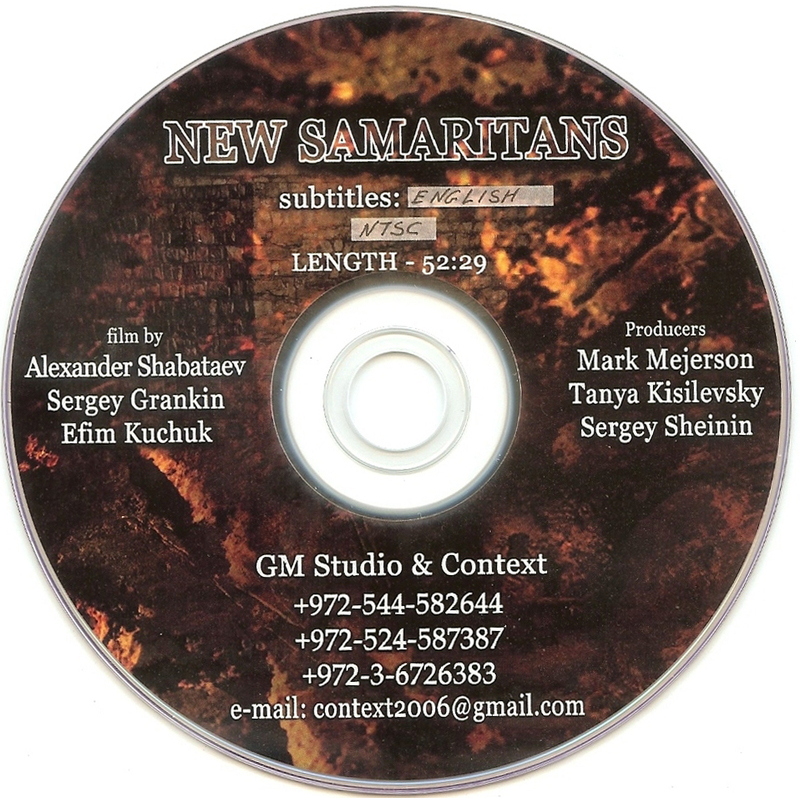 Wonderful photos of the Samaritan 2006 in pdf format. A must see! Have you purchased your book lately? Baba Rabba (Great Gate) was born 307 years before Mehmet (Muhammad's name as child) according page 55 of The Companion to Samaritan Studies, edited by Alan D. Crown, Reinhard Pummer, Abraham Tal. So if Muhammad was born in 570 CE, then the birth of Baba Rabba would have been 263 CE. Had Rabba lived 32 years before he gave up politics, it would have been 295CE. The Dead Sea Scroll fragment is published with the permission of Legacy Ministries International in greater Phoenix, Arizona. The IR image is the product of the unusual skills of Bruce and Ken Zuckerman of West Semitic Research in Rolling Hills Estates, California. For the transcription, see Nota Bene which allows diacritics and thinks right to left. The alignment approximates the arrangement of consonants on the leather and the margins for the edges of the fragment. Codicology: width: circa 38 millimeters, four lines of text, black ink on brown leather, holes, especially a tear from above line three through line four, no margins, no horizontal or vertical lining visible; no writing on back. Though the SP has more sense divisions than the so-called MT, there is no division indicated before the beginning of verse six (end of line four). Date: The fragment is too small to be cut for AMS C-14 analysis. While there are few consonants, one can judge the work to be mostly in a late Hasmonean Book Hand. Palaeography: The scribal hand represents archaic forms that can be dated perhaps to 175 BCE and later forms that date from around 50 and even conceivably to 30 BCE (but we cannot ascertain when such forms first appeared). Aleph: two examples, two strokes, stiff left leg as in the late Hasmonean book hand of c. 50 BCE (similar to 4QSama and 1QIsab). Beth: three examples, two strokes, concave top, sloping lower horizontal line (similar to 4QSama and 1QIsab). Gimel: one example, two strokes, bent initial vertical line (as in 4QSama and 1QIsab). Daleth: two examples, two strokes, squared tops (as in 4QSama and 1QIsab). He: three examples (not identical forms), two or three strokes, thick horizontal line that sometimes extends to the left with higher right shoulder (as in the Hasmonean Script of c. 125-100 BCE; cf. 4QDeute and 1QIsaa). Waw and Yod: the Waw is longer, but both have a triangular head (as in 4QSama and 1QIsab). Lamed: seven examples; one stroke, long form with flat horizontal line and curved right vertical extension, as 4QSama and 1QIsab (it continues in the later 1QM). Mem: Final form with three examples, two forms, similar to 1QIsab. Ayin: four examples that are different, two strokes showing a full form (not the small Ayin of earlier scripts), curved and sloping initial stroke as in 4QSama and 1QIsab (but also similar to 4QDeute and 1QIsaa). Resh: two examples, a distinguishing consonant with one flowing curved stroke as in the Hasmonean semiformal script of c. 175-125 BCE (slightly later than 4QQoha). Shin: one example, three strokes, curved right vertical form as in the Hasmonean Script (somewhere between 4QDeute or 1QIsaa and the later 4QSama and 1QIsab). Taw: three partially preserved examples which are not identical; the final example has two strokes with raised first horizontal stroke and cured right shoulder as in 4QDeute and 1QIsaa. In my judgment, it seems an old scribe, using archaic forms learned in his youth, copied this Samaritan Pentateuch sometime around the middle of the first century BCE. The scribe uses a mixture of scriptio continua and separated words. Final forms: three examples of a final Mem and a final Nun [and possibly part of a final Kaph]. The Waw and Yod along with the Resh and Daleth are distinguishable. Against both SP and MT, the author employs scriptio plena in line four: עולות. Text Type: Samaritan Pentateuch. The fragment preserves two variants with the SP [see transcription and notes]. Provenience: The one who sold the fragment claims it is from Qumran Cave IV. TWO ANCIENT BIBLICAL SCROLL FRAGMENTS, reportedly from Qumran Cave 4, have been published by James H. Charlesworth on the Institute for Judaism and Christian Origins website. The other fragment is of Nehemiah 3:14-15. If it actually is a Qumran fragment, it is quite important, since it would be the only surviving bit of the book of Nehemiah recovered from Qumran. UPDATE (21 July): Further thoughts. One point in favor of Charlesworth's interpretation is that a cultic installation with a stone altar dating to the Iron Age I period has actually been excavated on Mount Ebal and it has been argued that this is the altar mentioned in Deuteronomy 27 (reported as actually built in Joshua 8:30-32). If so, then "Mount Ebal" is the original reading in Deuteronomy and "Mount Gerizim" is a secondary Samaritan alteration. Therefore this manuscript fragment (assuming it's genuine) is from a Samaritan manuscript. It's possible that the writer of Deuteronomy either had a tradition of an ancient Israelite altar on Mount Ebal or knew of the ruins of an ancient altar there, but it's an interpretive leap, even if a plausible one, to connect the archaeological site with the text of Deuteronomy. Also, Sharon Sullivan Dufour has relayed a message from Benyamin Tsedaka, who is currently at the SES (Societe des Etudes Samaritaines) conference in Papa Hungary, which opened yesterday. The information about the new manuscript "has created quite a stir of excitement among the scholars at the SES." 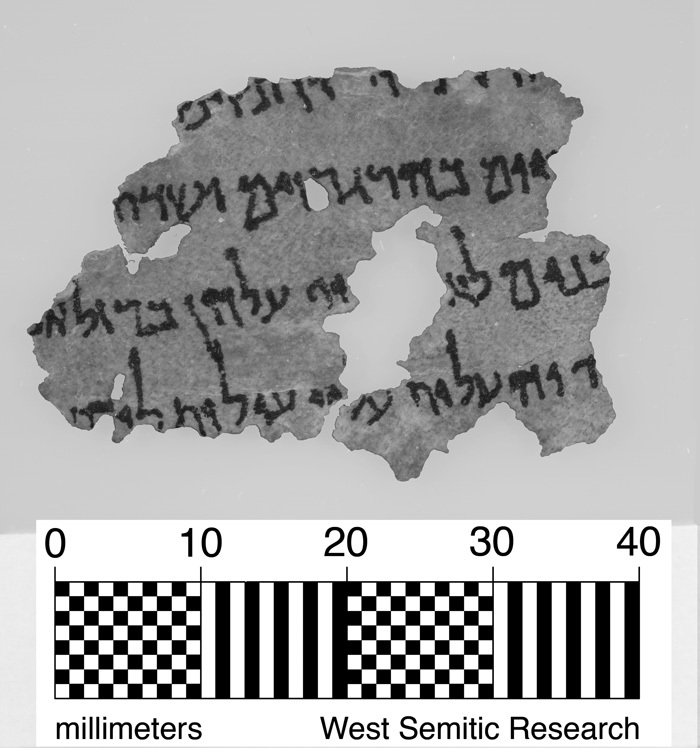 Mr. Tsedaka points out that this fragment, if it is a Samaritan text, could also come from the book of Exodus. This passage is added to Exod 20:17 in the Samaritan tradition. Unless we find more of the text, we can't be sure whether this was a Deuteronomy manuscript or an Exodus manuscript. UPDATE (23 July): More thoughts here. The discussion concerning the new Deuteronomy fragment has been continued by Jim Davila in two important posts. The post, FURTHER THOUGHTS has noted that the reading bhrgrzim although typical of Samaritan provenance may have more complex background. Davila also points to an important article: R. Pummer, from JSJ 18 (1987): 18-25. The next post, STILL MORE THOUGHTS refers to an article: Shemaryahu Talmon, “A Masada Fragment of Samaritan Origin,” Israel Exploration Journal 47 (1997), 220-32, which identified a paleo-Hebrew fragment from Masada that has the continuous spelling for Mt. Gerizim. If this fragment is genuine and with a Qumran provenance, it does not in any stretch of the imagination mean that the Qumran community was Samaritan-sectarian per say. However, I wonder if the presence of the fragment and the Masada fragment may indicate that Judean/Samaritan relationship was not as overwhelmingly antagonistic as some may argue. That there was a certain level of interchange so that Samaritan sectarian materials would be read and known by some Judeans. A GROUP of Jewish experts may have discovered "lost" chassidic documents in Manchester's John Rylands library. They could include records of chassidic courts that were lost during upheavals caused by wars that ravaged eastern Europe from the time of Napoleon to World War One. The manuscripts were among 18 unattributed chassidic documents shown to the visiting experts by the keeper of manuscripts and archives, John Hodgson. The visitors established that most of the early and mid-19th century material comprised hundreds of pages of Shabbat lectures and legal opinions of early Lubavitcher Rebbes. Afterwards, Mr Hodgson said: "The staff learned a great deal about the manuscripts from our visitors. "It was inspiring and exciting to realise their significance. "We hope that we can arrange for the manuscripts to be properly catalogued and digitised, and that they receive the scholarly attention they deserve." Making the private study visit were Talmud lecturer Rabbi Simcha Bamberger, Manchester Beth Din registrar Rabbi Yehuda Brodie, bibliophile and amateur scholar Elozor Reich and Manchester University historian of orthodoxy Dr Yaakov Wise. Dr Wise has offered to help the recently-extended city-centre library establish whether any of the documents are, in fact, unique lost records of early chassidic discourses. He is planning another visit accompanied by the Holy Law Synagogue's Rabbi Yossi Chazan - an expert on Lubavitch literature. The hundreds of pages of notes poured over by the experts include those of early Lubavitcher Rebbes Schneor Zalman of Liadi (the Baal HaTayna, 1745-1812), the Mittler Rebbe (Dov Ber of Lubavitch, 1773-1838) and the Tzemach Tzedek (Menachem Mendel of Lubavitch, 1779-1866). Other material includes a notebook of a Rabbi Nochum of Rudnik, probably connected to the Sanz chassidic dynasty. The notebooks are from the Dr Moses Gaster collection. In 1954, the John Rylands library purchased a large collection of manuscripts in Hebrew, Samaritan and other scripts assembled by Rabbi Dr Moses Gaster (1856-1939). Romania-born Rabbi Gaster was forced to leave his native country in 1885 as a result of antisemitic persecution and took refuge in England. He became Hakham (Chief Rabbi) of the Sephardi communities of England in 1886, and held the office until his retirement in 1919. A distinguished academic scholar with a long list of publications to his name, his interests ranged from the Hebrew siddur, the minutiae of Hebrew text study and apocryphal Hebrew literature to Jewish amulets and Romanian folklore. The Rylands' Gaster collection comprises more than 10,000 fragments in Hebrew and Judaeo-Arabic from the genizah of the Synagogue of Ben Ezra in Old Cairo. There are 350 Hebrew codices and scrolls, including prayer books from many Jewish communities, apocryphal writings, commentaries, treatises, letters, marriage contracts, piyyutim, 13 Sifrei Torah and almost 1,500 uncatalogued Arabic fragments on paper from the Ben Ezra Synagogue. The library was founded in 1888 by Mrs Enriqueta Rylands in memory of her husband John. In 1889, architect Basil Champneys designed the striking gothic building on Deansgate which was voted Manchester's most "iconic" building in 2007. The library took nine years to build. Mrs Rylands insisted on the finest materials and the building was lavishly decorated. Traditional craftsmanship was combined with pioneering technology, such as electric lighting - the first public building in Manchester to be fully lit by electricity. 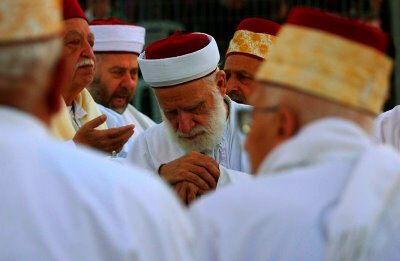 There are few communities in the world more ancient than the Samaritans. For centuries, the Samaritans have lived in isolation. But now as their numbers diminish, some are looking to the outside world to replenish their numbers. VOA's Jim Teeple has more in this report from the Israeli-occupied West Bank. A book just released and the first review copies were sent out last week. 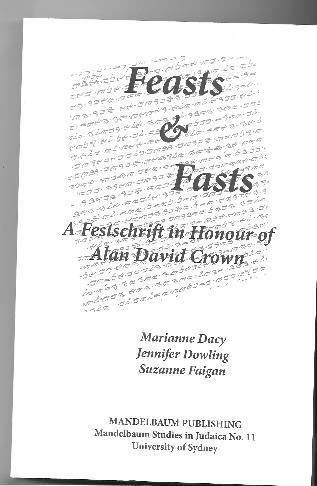 It is by June Ashton, is called Scribal Habits in the Ancient World and sells for AU$22.99 Publisher is Mandelbaum Publishing, University of Sydney. The Samaritan scribal practices are compared with ancient Jewish and other scribal practices and shown to be of a common ancestry.